Update 19 October 2008: My friends and clients, who are the first homeowners in Belvedere, have provided an important and very personal perspective on how the foreclosures are affecting them. For their candor, conviction and willingness to share, I admire and respect them tremendously. It’s less exciting than one might think. No fast-talking auctioneers. No rapid bidding. 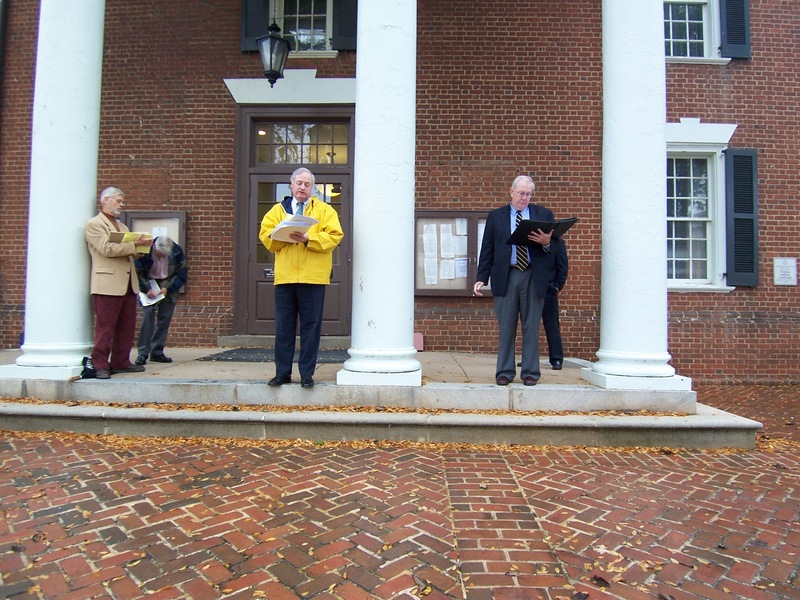 In this case, local builder Church Hill had many of their properties – existing homes and lots – auctioned off this morning at the Albemarle County Courthouse. It was actually quite boring until you think about the pain that the builders, homeowners, contractors, community members and banks are suffering. Basically, the bank bought all the properties for themselves; they believe there is a market for the properties and they’re right … it’s the price that matters. This is the part of the auction after they had auctioned off the properties in Belvedere. They are auctioning the properties in Wickham Pond in Crozet. I wish I had a happier post with which to enter the weekend … try reading the Bubble Blog’s Buyer’s Market post. I’d planned a similar post for today, but they beat me to it. I’ll update this post when the HooK’s post is up. Did the bidder get the lot? Nope. 1st bid was $5k, 2nd $10k, then the bank bid $80k. 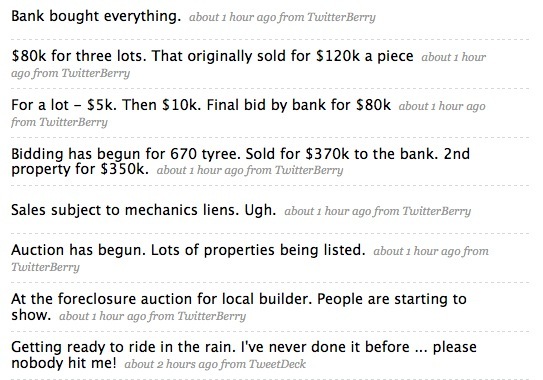 Heck – I was close to bidding $15k!